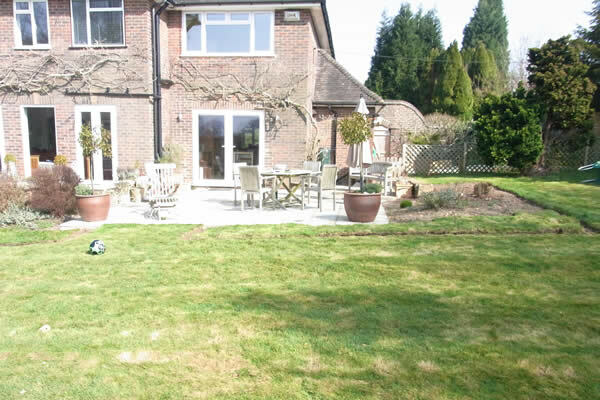 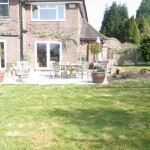 Our goal for this garden was to soften the patio area. 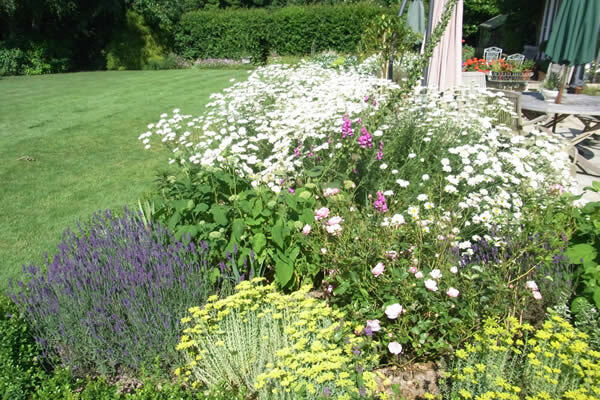 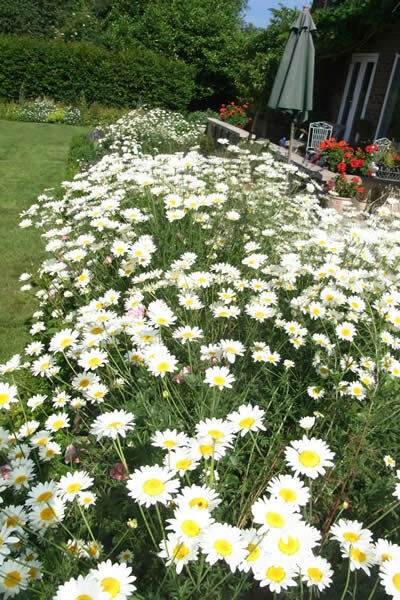 We created a large border the full length of the house and designed this to create colour all year round. 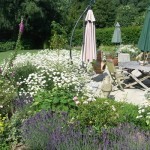 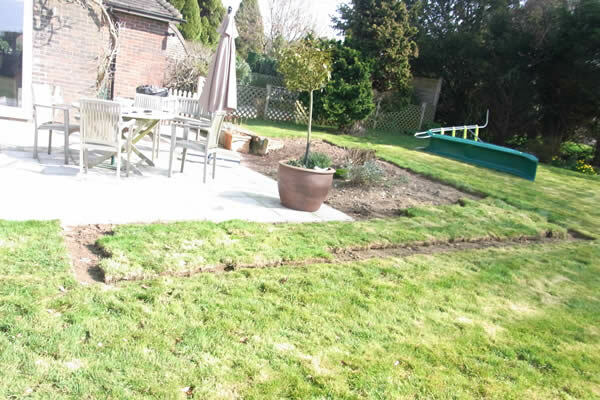 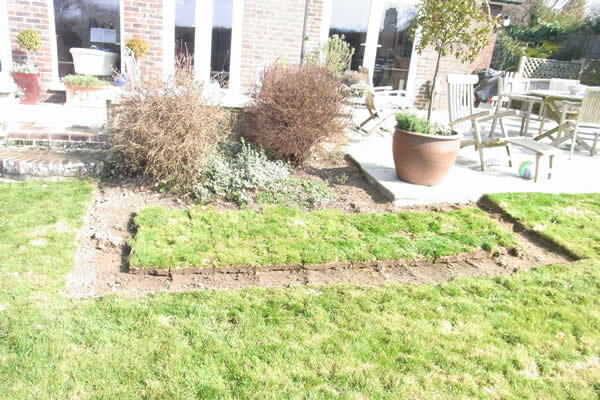 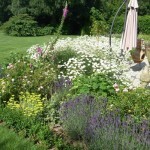 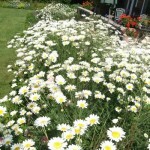 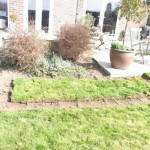 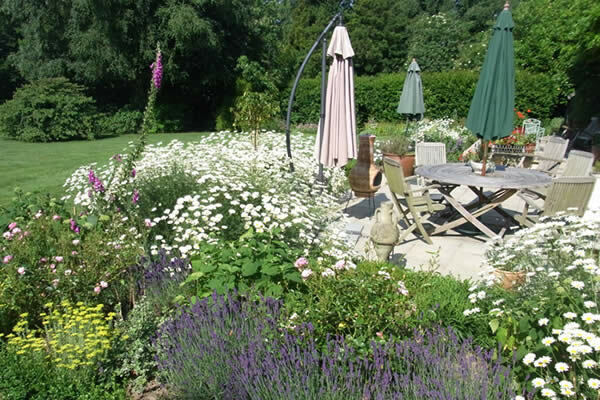 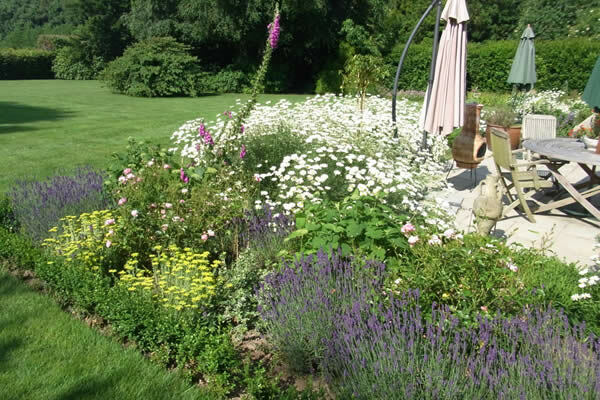 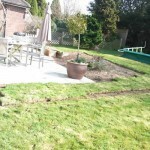 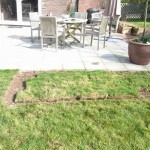 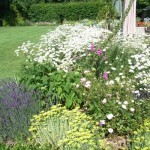 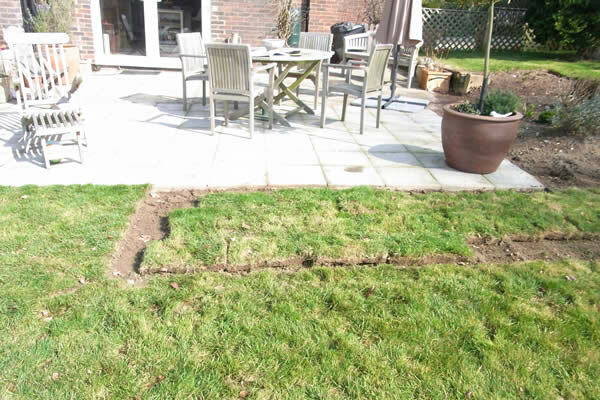 Once the planting was complete we framed the border with box hedging.